Designed to disrupt hostile reconnaissance – the planning individuals need to do to carry out a terror attack or other criminal activity – Project Servator was first used across the Square Mile by the City of London Police in February 2014. In that time, the force’s Project Servator officers have gathered hundreds of pieces of intelligence related to potential hostile reconnaissance, terrorist activity and serious and organised crime. Their deployments are highly visible and made up of a range of police resources, including uniformed and plain clothes officers, police dogs and horses, and firearms officers. They are supported by state-of-the-art CCTV monitored in real time and other less visible security measures. The deployments are planned based on intelligence, but are designed to be unpredictable and can turn up anywhere at any time. 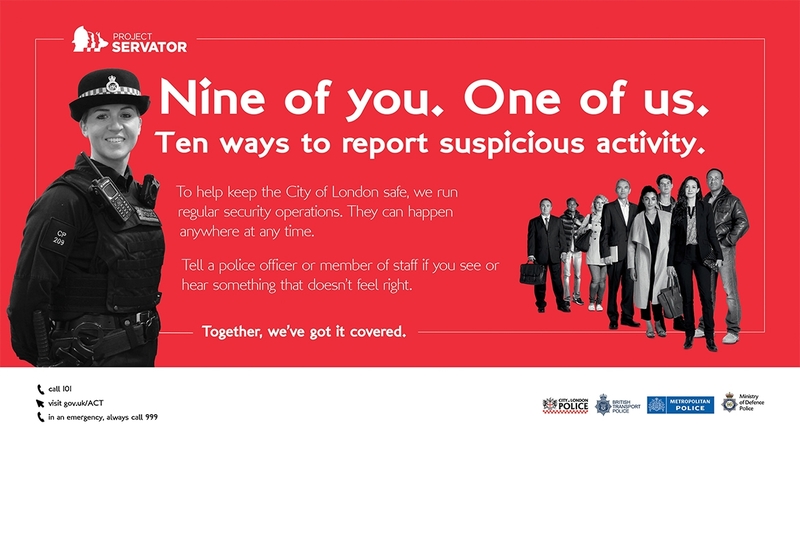 Businesses and organisations across the Square Mile have supported the approach, with their security teams and staff playing a vital role as the police’s extra eyes and ears, remaining vigilant for activity that seems unusual or out of place in their day-to-day lives and reporting it to police. Numerous security officers have been trained in how to identify hostile reconnaissance and deploy together with police. Officers have also spoken to thousands of members of the public to encourage them to be vigilant, and used social media and advertising campaigns to raise awareness of how the public can help keep everyone safe. Although Project Servator is primarily a counter terrorism measure, it has the added benefit of disrupting a range of other crimes. Officers have made almost 650 arrests for a variety of offences, including firearms and weapons possession, drug dealing and possession, theft, fraud, money laundering and immigration offences. Using their specialist training, which enables them to pick up on tell-tale signs that an individual may have criminal intent, they have also apprehended a number of individuals wanted on warrant. 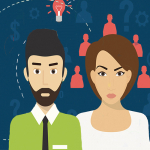 Almost two thirds of the searches they carry out have a positive outcome, compared with the national average of 17%, which indicates that their specialist skills are being used effectively. As part of searches carried out during deployments, and as a result of further inquiries following arrests, they have seized £25,000 in cash, over 1,700 wraps of illegal drugs and seized 280 vehicles from suspected criminals. In one instance, a driver was stopped at a Project Servator vehicle checkpoint and a search of his car by a police dog discovered Class A drugs. A search of the man’s address recovered a stun gun disguised as a torch. During another deployment, an individual was found with drugs, cash and fraudulent documents. Following his arrest, an address was searched and ammunition discovered. Supt Helen Isaac, who oversees Project Servator at the City of London Police, said: “When we pioneered Project Servator five years ago, we knew from our research and testing with the Centre for the Protection of National Infrastructure that it would be successful, but we could never have predicted what an impact it would have across the Square Mile. “Whilst it’s difficult to know how many terrorist plots Project Servator has helped to disrupt, we know from tests carried out by specialist teams that we are making it very difficult for criminals to gather the information they need to carry out their plans successfully. “What’s also pleasing is that the approach has been used across London, including on the transport network, since April 2018 and more and more police forces are adopting Project Servator. Project Servator is being used by a total of 16 police forces, with more to follow in 2019. Find out more counterterrorism.police.uk/servator or search #ProjectServator on social media. Previous articles in our Project Servator category.